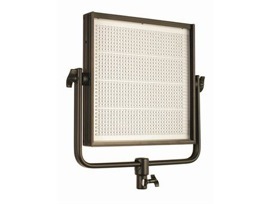 A pair of LED lighting panels have been added to the inventory of lighting gear. These two units from Cool Lux are daylight balanced and can be operated with v-mount batteries. Each have a set of filters to correct to tungsten when used with traditional kit lighting. They can also spread the beam if there’s a need to cover a wider area. 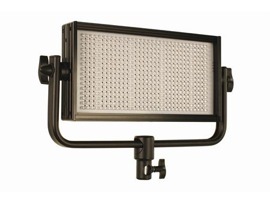 In certain conditions these can be used to light subjects outdoors or areas with a mix of lighting. This brings the LED inventory to four instruments and six daylight balanced lights.